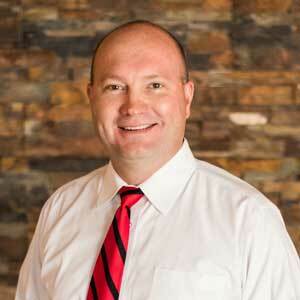 Ryan Lerwill is an exceptional real estate agent with two decades of experience. He is a principle in Countrywide Properties Group, oversees operations, and provides expert seller's services. He is known for his extensive knowledge of East Idaho real estate. What sets Ryan apart is his ability to transform complex transactions into winning solutions for all involved. If you have a difficult situation involving farms, subdivisions, dividing family property, or any other complex situations, Ryan is a valuable resource that will save you time and money. Ryan is also a partner in Countrywide Properties Group. Prior to joining Keller Williams Realty East Idaho, Ryan and his brother Jeff ran Countrywide Properties as a successful brokerage with many satisfied clients. He also has extensive knowledge of real estate development and home building, having formerly owned and operated a construction company in Madison County. Ryan is married and has five children. He is involved in many community activities which include sponsoring sporting events, participating in fundraisers, and providing leadership in the community and in the LDS church. Realtor - What is a Realtor?